When your getting ready for a long trip and you need to bring along some luggage or cargo or when you need to haul a trailer or camper, Auto Barn has got what you need. We have trailer hitches and trailer hitch accessories for most truck and SUV makes and models, import or domestic by Reese. A full assortment of trailer connectors for most trailer sizes, and car top carriers by Thule or ROLA. Looking to bring along your ski's, bike's or kayak? Auto Barn sells bike racks that you can place on the roof of your car or truck or in a trailer hitch. Kayak racks, ski racks, or snowboard racks that are all placed on the roof of your car or truck, by Thule. Plus Auto Barn carries cargo nets of varying sizes to secure your cargo to the roof or hitch carrier while on the road. 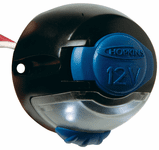 Hopkins Towing Solution's® offers several products for all your towing needs, such as: plug-in simple!® adapters, vehicle wiring kits, and power sockets. Each trailer hitch is custom fit to fit your vehicle.